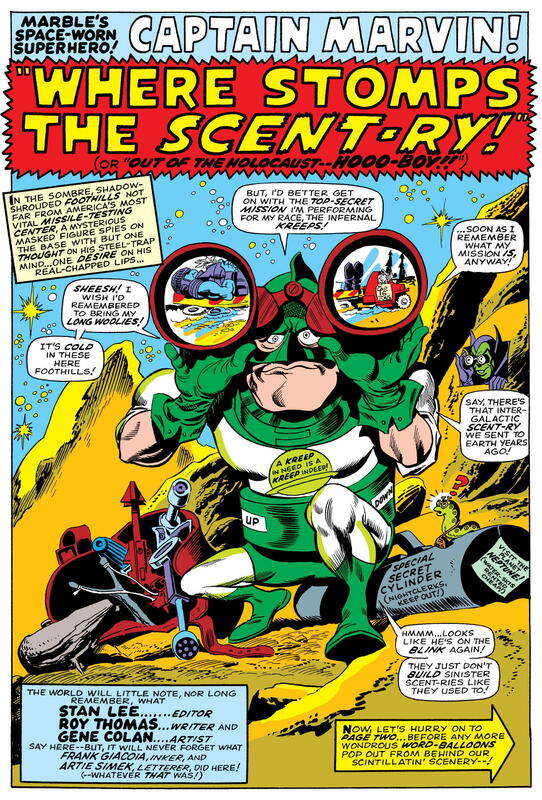 For younger readers of current comics, accustomed to publishers trumpeting every single guest appearance or “event” tie-in months in advance, the notion of a “stealth crossover” may seem all but incomprehensible. 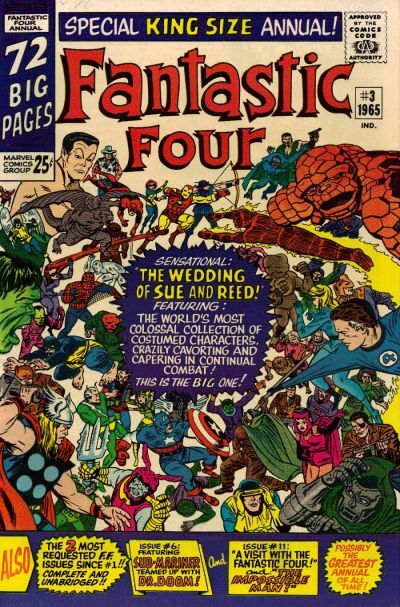 Yet, that’s exactly what Marvel Comics did in the first quarter of 1969, as they carried over a plotline from the January-shipping issue of Captain Marvel into February’s Avengers (the subject of today’s post) without even so much as an editorial footnote in the first book to let fans know it was happening. What the heck were they thinking fifty years ago, there at the “House of Ideas”? 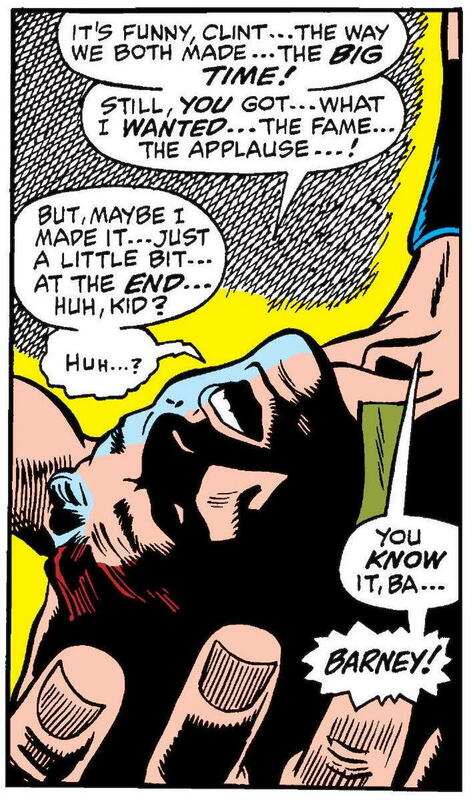 The subject of today’s post, in addition to being another fine installment in writer Roy Thomas and artist John Buscema’s original run on The Avengers, also happens to have been my first real encounter (outside of a couple of cameos) with Marvel Comics’ Master of the Mystic Arts, Doctor Strange — or, at least, I think it was. 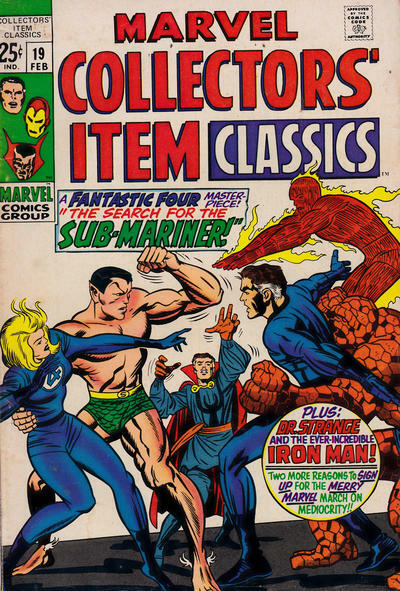 The problem here is that I know that, once upon a time, I owned a copy of Marvel Collectors’ Item Classics #19 — a terrific, double-sized reprint book that not only included a classic early Doctor Strange tale (from Strange Tales #128), but also an equally-classic Fantastic Four story (from the 27th issue of that team’s title) that guest-starred the good Doctor. A double dose of Doc, if you will. 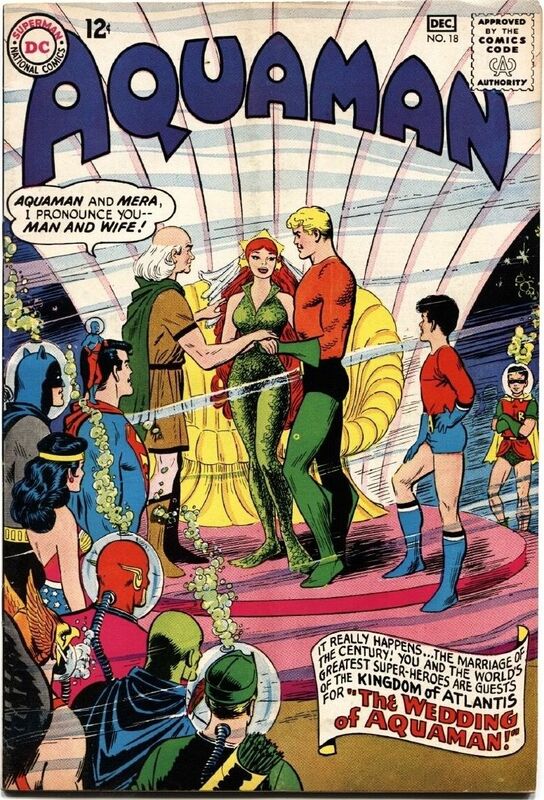 And since that book would have been on sale in November, 1968, it would necessarily have been my first Strange-featuring comic — if I’d bought it new off the stands, that is. Which I have no truly compelling reason to believe I didn’t. 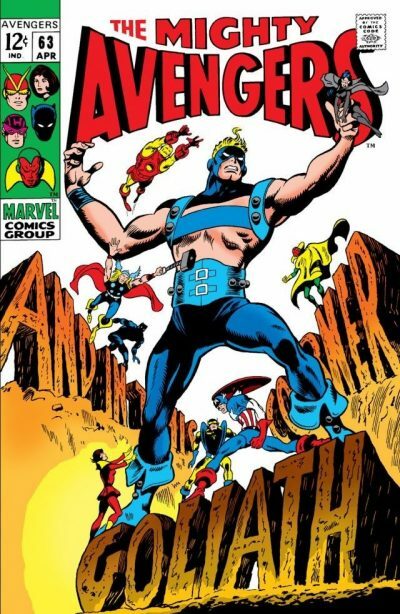 But even if Avengers #61 wasn’t the first comic book I ever read that featured Dr. 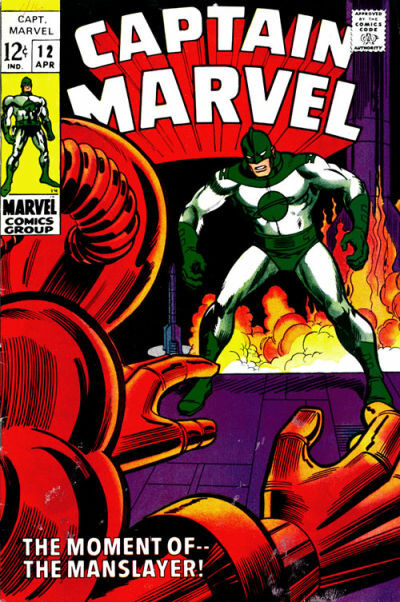 Strange, it was certainly the first non-reprint book to include the hero that I ever picked up. 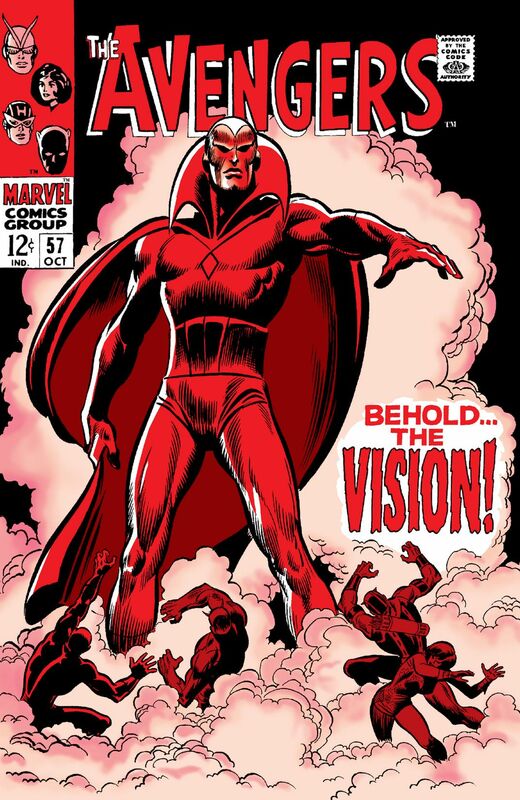 Without it, I might well not have taken to the character as much (and almost certainly not as quickly) as I did; for, immediately following my reading this issue, I became a regular purchaser of the Doctor Strange series — and I’d remain a faithful reader of the title for years to come, sticking around through its rather frequent cancellations and revivals, with its star ultimately becoming my second favorite Marvel character (right after Thor).